When you’ve lost a loved one, the pain and loneliness may be so great that you dive too quickly into a new relationship. When you’re over 60, your children are probably out of the house. You may be suddenly all alone, rattling around an empty house and feeling acutely lonely. Having a new partner, someone special in your life again, is a comfort . . . even just being physically close in a non-sexual way to another human being. Without even realizing it, you may be driven by an overwhelming need to quickly replace the loved one you lost with someone new. But diving into a new relationship right away interferes with the grieving process. Losing your life partner is, of course, a highly emotional time and a difficult life transition that should be dealt with carefully, without having to tend to a new partner at the same time. Conversely, you may be so grief-stricken that you feel you never want to date again . . . you’ll never find someone you will love as much as your late partner. And you may wonder whether it’s even worth the effort. So you hesitate even trying, although you’d really like to have love and romance with a life partner again. You know how great it can be. I jumped into dating too soon after widowhood. I thought I was ready 6 months after Sam died. Actually, I thought I was ready 3 months after he died. Even so, I made myself wait another 3 months to actually start dating. At 61, I felt an urgency to get into another lasting, loving relationship as soon as possible. Looking back, I can see that I was kind of desperate. This was the tipoff that I wasn’t ready to date again: The fact that I had recently lost Sam was still the main driving force in my life. I thought about him all the time. I was often on the verge of tears at the slightest provocation or mention or thought of him. I guess I thought a new partner would help ease the pain, but of course I wasn’t really open to letting someone else in fully. Sam was so much in my thoughts that I had an almost uncontrollable need to tell first dates right away about him. That’s not at all a good way to open a conversation with a potential life partner. Similarly, I had a few dating experiences with widowers who were not ready to date. They tended to go on too much with comparisons between me and their late wives. I remember the online dating profile of one man who took it even further. He stated in his profile that he had lost his wife within the past few months. He would only date women who fit a very specific list of criteria that represented the lifestyle he had with his wife . . . including the same profession, the same kinds of exotic travel choices, same hair color and other physical characteristics. Kind of creepy. Are widows and widowers just bad dating material? 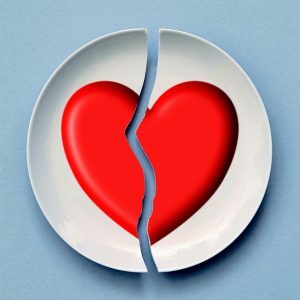 If you’ve been reading dating advice, you may have noticed that the pervasive opinion on whether to date widows and widowers at all is a great big “NO”, which is very unfortunate. I hope you don’t take that to heart, because it’s just plain foolish to rule out such a large chunk of potential partners. They could well be the perfect partner, especially if they had a healthy relationship. They’ll know how to be a good partner and how to maintain a good relationship. But I do think you should proceed cautiously with someone who has recently lost their loved one (through death OR through a bad breakup). Some people are ready to date sooner than others. Feel it out and be sure they’re not dwelling in the past and looking to replicate their loved one. If you’re on the fence about whether you’re ready to date after widowhood. To attract a healthy relationship, you have to be healthy yourself. The first relationship after widowhood will help you heal, but it probably shouldn’t be a long-term relationship. Don’t do what others say you should be doing. Do what’s right for you to heal. 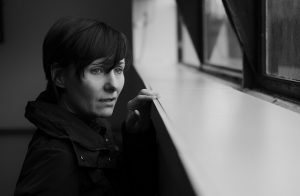 Feelings of guilt and betraying your loved one can keep you from participating. Let yourself live your new life. Put the need to be pitied behind you and move forward. Choose to live your life. Loving your late spouse or partner while making room for your new love. 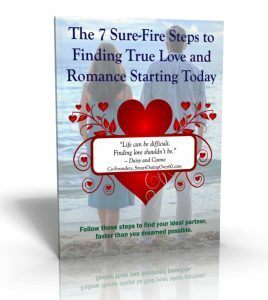 How to move forward and into a new loving relationship. 2. Tell your story (but carefully). Who you are goes beyond being a widow or widower. Share your authentic self, but be selective about what you share initially. And avoid over-reminiscing about your lost love. It may make others feel left out and uncomfortable. Think about what kind of relationship you want going forward. You’re probably in a different stage of life now, than you were when you first met your loved one. Your needs and life style are probably different. 4. Take stock and retool. Because you were settled in a comfortable relationship for however many years, you may have let your appearance slide. It may be time for some kind of makeover. Dip your toes into the dating pool. Ask those you know to suggest anyone they think you’d be interested in meeting. They may be anxious to fix you up, but worried they’ll offend you. And don’t rule out online dating sites. Most of the single people over 50, 60 and beyond who are looking for love, are on these sites.